He found the finca and the house, Finca Sanguijela, with its peculiar name and located in the Sierra de la Sanguijuela. Strangely enough, the initials of the Finca and Friedrich happened to be the same, so it was only natural that the logo of the bodega would be FS. But first he needed to learn the language. An intensive course in Marbella to learn Castillian Spanish as well as the ‘practical lessons’ with the bricklayers who took part in the renovation of the house, worked wonders for the mutual understanding and his perfect Andalusian accent. 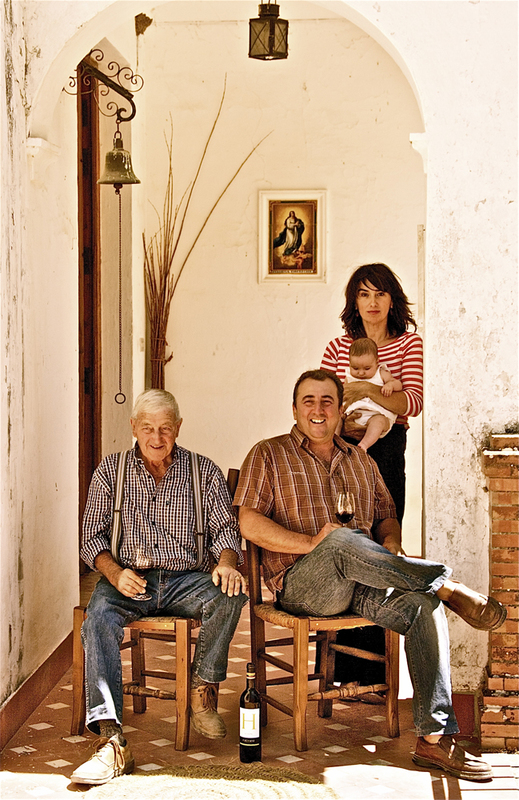 The goal was to create a vineyard and a bodega where he could create organic- biodynamic wines of high quality. Lively wines which are full of life. Cared for and produced on the base of traditional wisdom in conjunction with modern techniques. Finca Sanguijuela already had a small vineyard but it was still necessary to conduct tests with the different varieties in order to see which ones would adapt best to the soil and its unique conditions.